The 2xAAA flashlight form factor never appealed to me much in the past. But I’ve been keeping my eye on some of the newer ones, and they finally got to the point where they were just too tempting to pass up. But there are so many models, and they vary quite a bit in price, so I figured I would start collecting them so that I could directly compare half a dozen or so. 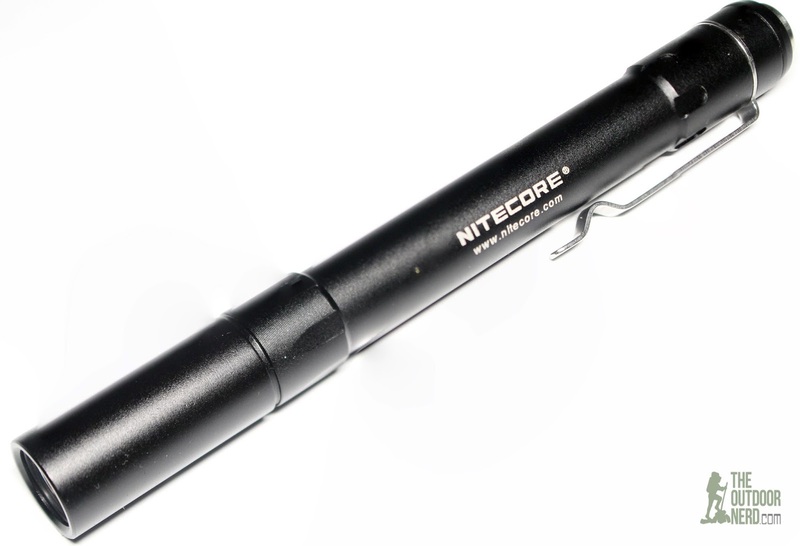 This review is for the Nitecore MT06, which I purchased from Amazon. As I order parts and supplies for this big rehab project on my travel trailer, I’ve been adding 2xAAA flashlights to my cart and order them as addons to other orders. Note that I did a quick photo comparison of my penlight collection a couple days ago. 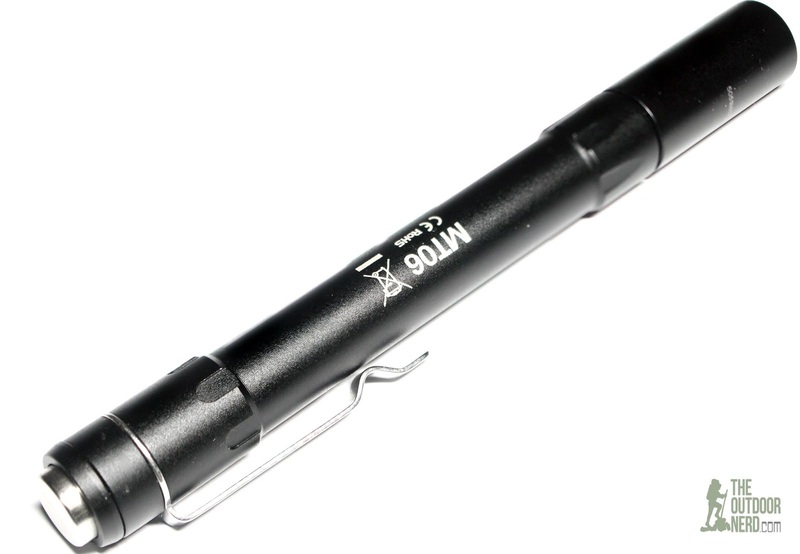 This is a 2xAAA “penlight” style of flashlight, which features the newer and smaller-die Cree XQ-E LED emitter. 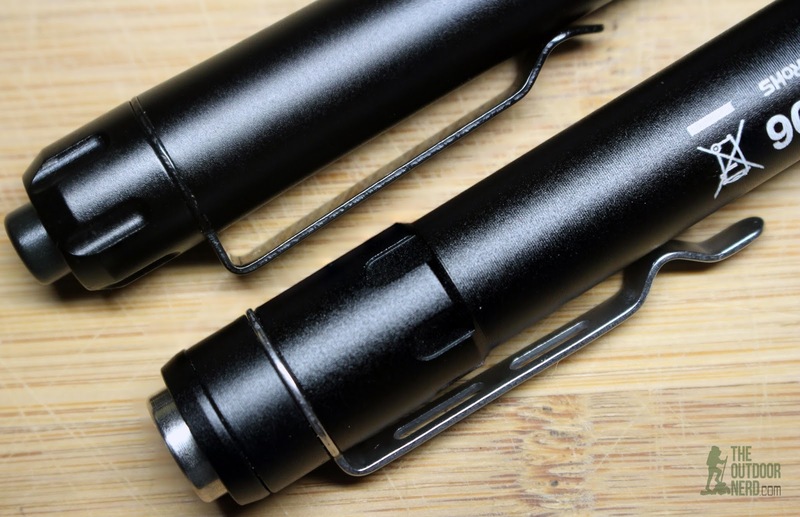 Two modes, deep carry clip, “reverse clicky” tail switch–it definitely appears to be a worthy contender in this class of flashlights. I like the tail switch. Most of the time I don’t like this style of metal push-button, but it’s not bad when done right, like this is. It’s got a short throw, too, which is nice on a long flashlight. The beam is beautiful. It’s the tightest of any of my penlight collection, but the tint is awful blue-ish. I’m no expert with these new XQ-E emitters, but if they all have this tint, maybe they should wait until this line of emitters matures a little. Playing with it about 5 minutes, I decided that it was a decent light. But then I noticed the lower frequency PWM when it reflected off anything shiny. It’s on the high end of low frequency if that makes any sense, and I’m really sensitive to it. Most of the time I don’t notice the PWM on this one, but when I do, my first urge is to grab another penlight, since I’m starting to get a decent collection. 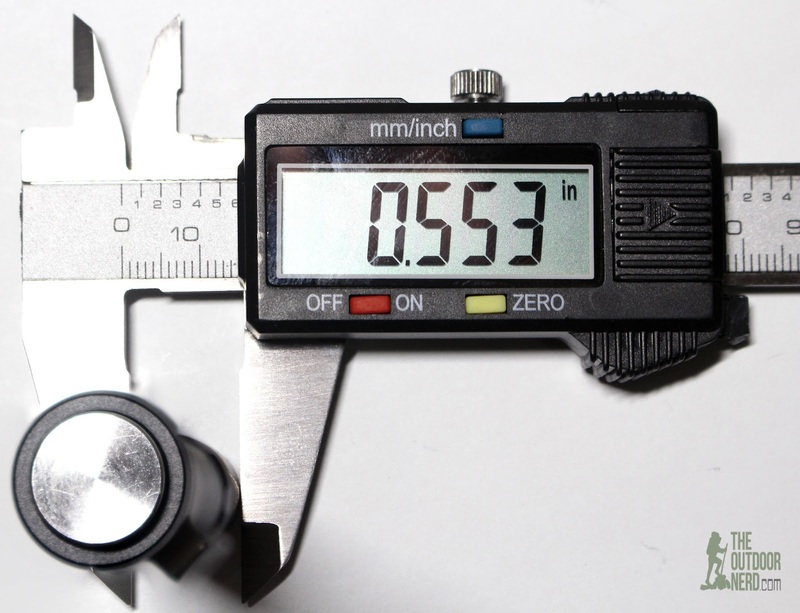 My review sample appears to be well built and overall well machined, and the overall execution is what I would expect from a manufacturer like Nitecore. They’ve had some flubs in recent memory, but overall they are getting a good reputation for making solid products. The smooth reflector is smooth like it should be, the glass is good quality with an anti-reflective (AR) coating. 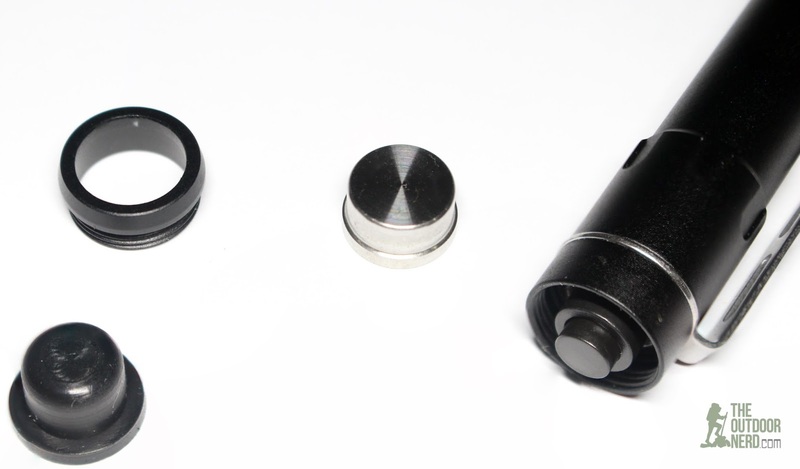 The tail button is well machined stainless steel. The clip, oh the clip. It’s awful. I love that it’s attached so that it can’t fall off, just like the Thrunite Ti4. 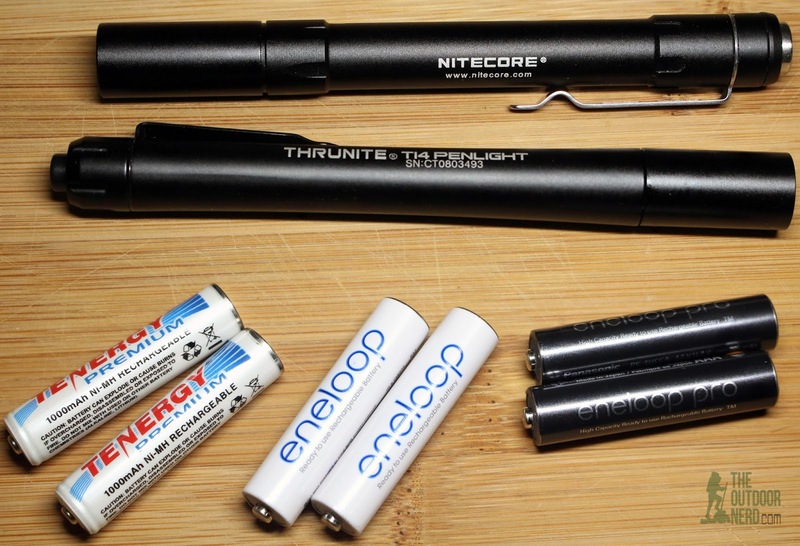 It seems like the last time I reviewed products from these guys, the clip on the Thrunite sucked and was solid on the Nitecore. The shape of the clip is fine, but it’s too thin and soft. I get the feeling it would snap right off if it snagged on something while clipped into my pocket. 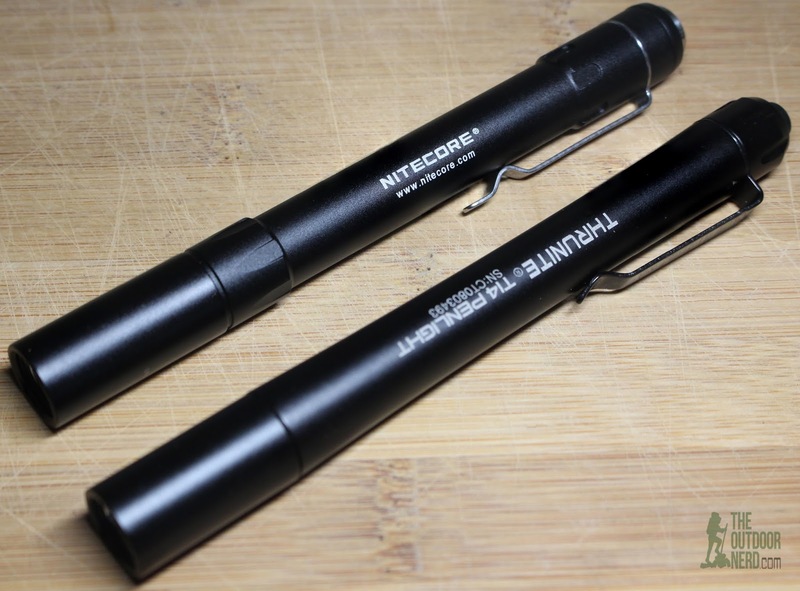 Overall, very good, just like I would expect from Nitecore. At 26 bucks at time of purchase, it was on the high end of price for the penlight style of flashlight. It’s all there: quality triangular threads with lube on them and o-rings where there should be. 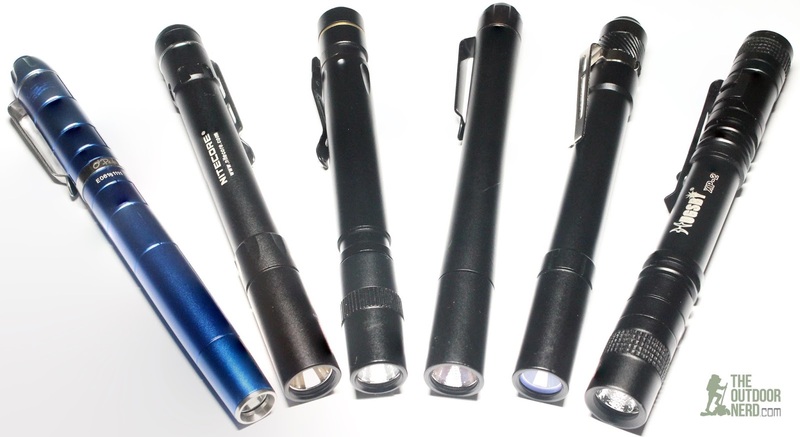 No dings, nicks, blemishes, tool marks or anything you see on the cheaper flashlights. The switch feels almost perfect and the emitter is well centered. This is a sharp looking product. The MT06 uses the newer Cree XQ-E small die emitter, which coupled with the smooth reflector gives this flashlight the tightest beam of my collection. It’s actually impressive. Too bad the tint is a sickly blue. A smooth reflector is a good coupling with the small die XQ-E. The glass is AR coated as you would expect with a flashlight in this price range. Like the tail witch, the reflector is well done. The MT06 has low frequency PWM on both modes! It’s the high end of low frequency if that makes sense. It took me a while to detect it with my eyeballs. I hardly notice it unless I happen to catch a reflection from a shiny object, in which case it gives me an instant headache, just like most other lights with low frequency PWM. This type of PWM reminds me of the super-dirt-cheap flashlights. But even the 9 dollar Hugsby solves this problem by just having one mode with basically no circuitry. So, not even the light that cost a third of the MT06 has the PWM. I’m wondering if they didn’t put it in there to try to improve the tint. Low mode, constant current circuits tend to make an ugly tint using off the shelf emitters that come in a roll. But the tint is awful with the PWM, so it’s what the kids would call an epic fail in my opinion. Maybe they shouldn’t have been early adopters of this new Cree. This model features a simple Lo-Hi mode interface with its reverse clicky tail switch. Click it on, and a half-press switches between lo and high–nice and simple. I normally prefer three mode flashlights, but this interface is fine for EDC, and there is good spacing between the two modes. There is no mode memory with this model. Yikes. The icky blue tint, coupled with the low frequency PWM make this light a deal breaker for me. The “reverse clicky” tail switch is my favorite thing about the MT06. It has a short throw to engage the switch, but not so short that it’s a pain to switch modes. I’m not even normally a fan of these type of metal-capped switches, but Nitecore got it close to perfect. The MT06 comes with a detachable stainless steel clip. I like the design, but not the clip itself. It’s just a little too soft, and I know how a soft clip gets worse in my pocket over time. Clips are a funny thing. Too rigid, and they stick to your pocket and ruin your clothes. Too soft, and it’s more like a hanger than a clip after a couple weeks in the pocket. This is a very usable flashlight. The clip held up OK other than bending out more. But the short throw switch and two modes make it easy to just whip this thing out, light something up, and put it back in your pocket. The narrow beam is OK for looking at something closeup like inside an oven, but unlike my other penlights, you can light up a dog across the street. All tests were performed using Panasonic Eneloop Pro AAA batteries. High: 1 hour and 4 minutes total run time on high. The unit lost regulation at about the 40 minute point and did a free-fall until it shut off. Low: 4 hours, 22 minutes, at which point it started flashing about twice a second. I believe this is the lightest penlight in my collection, weighing in at 1.6 ounces with two Eneloop Pro AAA batteries in it. I have really mixed feelings about this flashlight. Putting out a product with horrible tint and low frequency PWM on its low mode almost ruins what would be a quality flashlight. I’d almost put the Ti4 head on it and be done, but the clip is awful, and I’m worried that what would be a $52 flashlight would break the clip and fall out of my pocket. The Ti4 has a keyed clip, so I haven’t tried putting its clip on this flashlight. But the clip aside, the MT06 body with the Ti4 head is a fantastic flashlight. But I may just live with the crappy switch on my Ti4 since it has a solid clip. This model has so much potential. But c’mon, the $9 Hugsby has a great clip, switch, and doesn’t worry about anything like PWM because it’s only one mode. 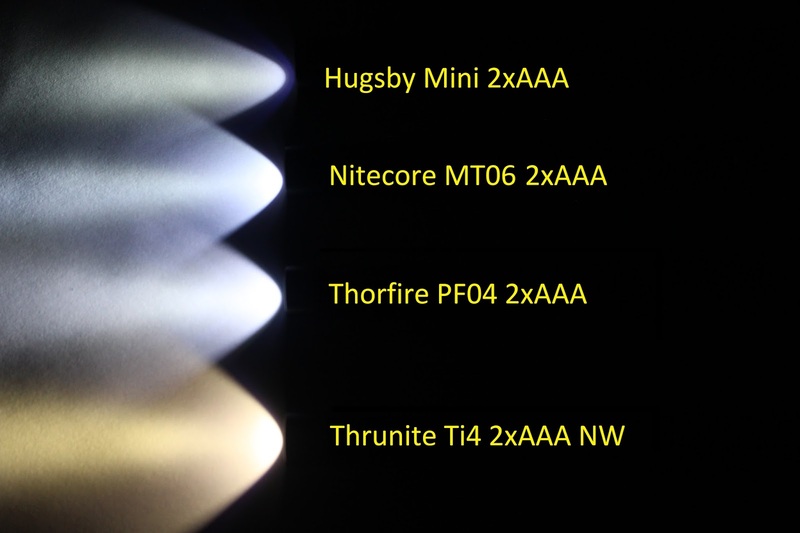 I like the innovative, small die LED, but for three times the price of the Hugsby, I expect more from Nitecore. If you are not sensitive to low frequency PWM and you don’t care about the clip or intend to take the clip off, then you may like this model a lot. The throwy beam is awesome, and so is the tail switch.